Many times you might be using notepad or any other editor to quickly open files with unknown extensions. The default method of opening unknown files shows a long list of known applications and is not very convenient to use. 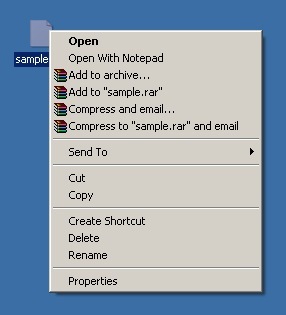 This small trick lets you open any kind of files by just right click and "Open with Notepad" context menu. Copy and paste the code below into Notepad. Then save it as a .reg file and import it to registry by clicking on it. In place of notepad you can use any of the text editor as notepad is very basic and takes lots of time for large files.